Gum contouring is an increasingly popular cosmetic dental treatment that is commonly used to improve a ‘gummy smile’ or uneven gum levels. Even if you have teeth that are straight, healthy, and symmetrical, your smile may be diminished if the gum line is uneven or falls too far below the lip line. It can make the teeth look small and cause people to feel self-conscious about the appearance of their smile. Ideally, the gums should appear even and smooth, and should act as a frame to complement a person’s smile rather than a distraction from it. Fortunately, a ‘gummy smile’ can now be corrected with cosmetic dentistry procedures such as gum contouring. A ‘gummy smile’ is a normal condition in which there is an excessive amount of gum that ends up covering the teeth, making them look small or short. This can drastically affect confidence and many patients state an aversion to smiling. This treatment is also known as gum reshaping and we have helped the look of many people’s smile and self-esteem by giving them a more symmetrical smile. The procedure is a relatively pain free experience, taking on average around an hour. We will trim away the excess gum, whilst also reshaping the area around the tooth to leave you with a pleasant looking smile. It is a very simple procedure with minimal risks and results can be seen immediately. Most people are suitable for this treatment and if you require very excessive contouring, then some bone may also be adjusted. We can reshape your gums in the gum lift treatment, with or without other cosmetic dental treatments. Often gum reshaping is part of the treatment involved in a smile makeover, and can be complemented by other cosmetic procedures. Your dentist will advise you on the best course of treatment for you. Would gum contouring be suitable for me? 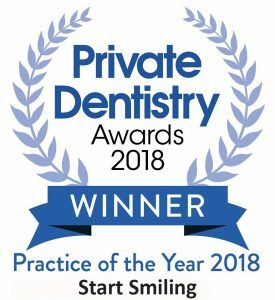 If you would like to know more about our ‘gummy smile’ solutions, please give us a call, or complete the form below for a Free Smile Analysis.